in the Midlands, the North and the far Southwest. cracks in pavement and the base of walls. 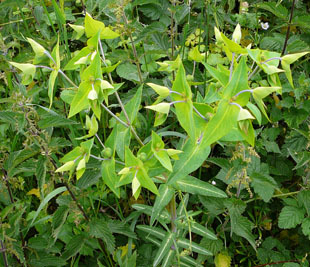 It can grow from bird seed and is thought by some to deter moles. 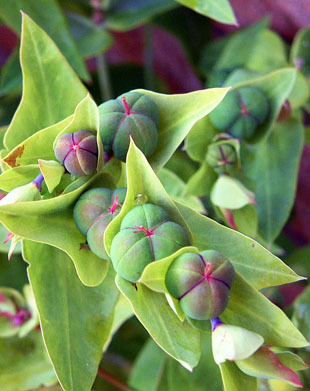 Caper Spurge is a biennial herb, growing up to 2m. 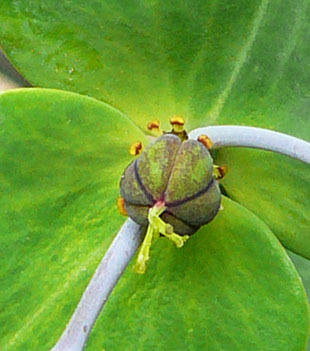 There are three styles with bi-lobed stigmas. 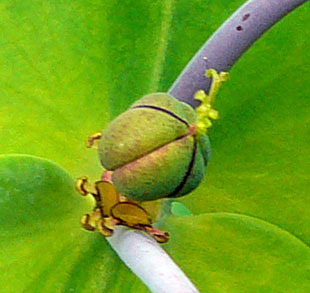 Glands are lunate with blunt horns. 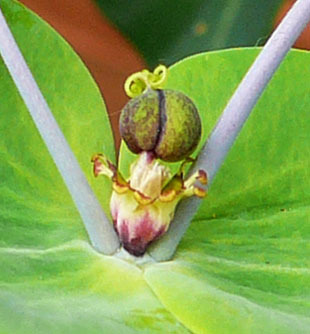 Fruits are caper-like, up to 2cm across, tripartite and poisonous. 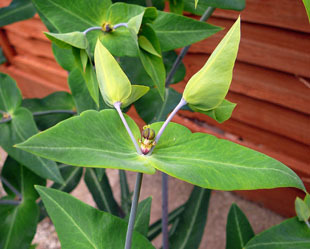 Stems are erect with greyish leaves of up to 20cm. 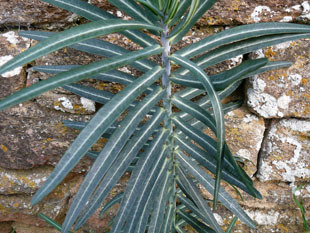 Leaves have distinct light midribs. 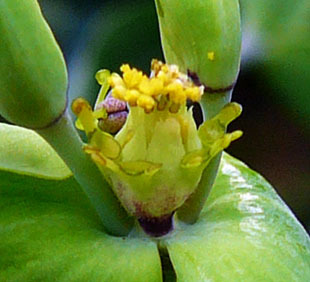 In year 2, the stems lengthen to form the flowering stems. 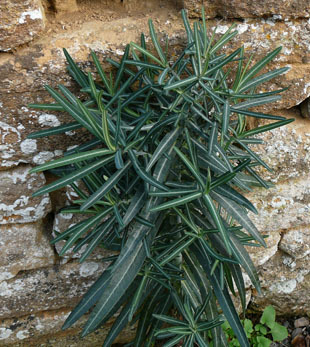 Caper Sprurge has been widely used in herbal and folk medicine.